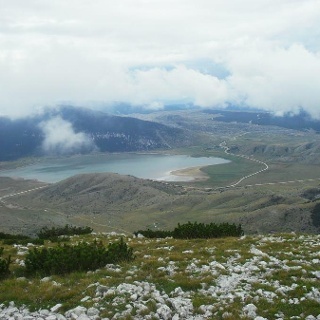 The great hike over Cvrsnica, the highest Herzegovinian mountain. 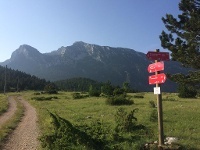 The trail follows Vilinac and Trinjaca ridge and descends to Jablanica city from the Plasa plateau. Cvrsnica is one of the most beautiful mountains in Bosnia and Herzegovina, and definitely one of the highlights of the Via Dinarica. 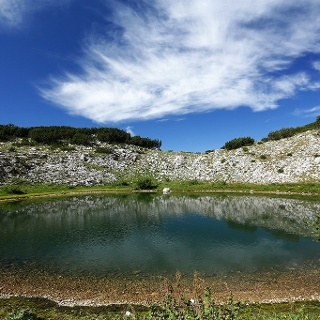 It hosts the most elevated mountain lodge along the entire Via Dinarica– Mountain hut Vilinac located at 1964 masl, as well as a couple of small lakes and a glorious rock eye Hajducka Vrata (Rebel’s Gate). The tour offers great views on Vran mountain, Plocno summit, Pesti brda, Diva Gragovica valley and Doljanka valley as well. 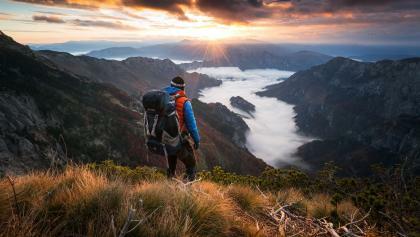 Exluding the end point, the trail goes through pristine mountain wilderness, beginning in endemic munika pine forest and traveling through alpine scrub habitats for most of the remaining tour. 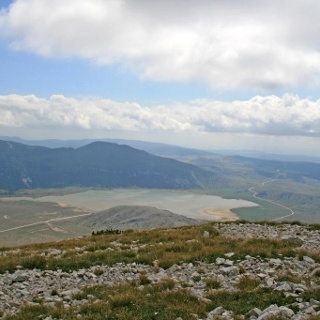 It starts from the Blidinje Lake, close by a newly built mountain lodge of the same name. Accommodation is available at this place. All bottles should be filled here, as the rest of the mountain is not so rich in water. The first part of the tour goes through young munika (Pinus heldreichii - endemic species of pine) forest and some beech at the end of the forest belt. Highland landscapes are dominated by alpine scrub and carpets of dwarf-pines (Pinus mugo). Further into the second part on Plasa mountain, there are also tame alpine meadows. 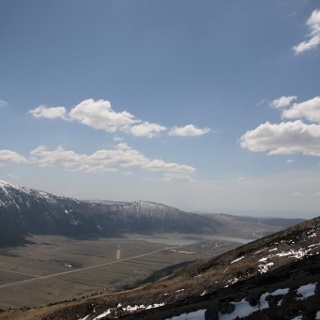 Trail runners and light and fit hikers can complete this stage in one long day. However, it is nice to take your time and fully enjoy the mountain over two or even tree days of hiking. The nights can be spent in Vilinac or Plasa mountain huts. The view point close by Vilinac hut is spectacular. Other highlights include the Great Vilinac summit at 2117 m (Veliki Vilinac), Crvenjak lake, Hajducka vrata, Trinjaca peak 2045m, and Plasa. 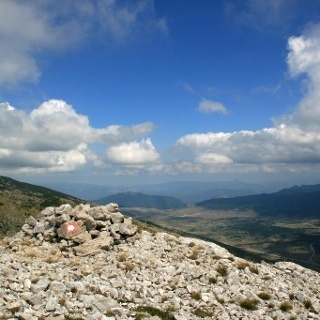 Summits and huts are also under the authority of High Herzegovina Mountain Transversal. Water can be found in only a few places, so note that you will need to refill at each of them. Most of the hiking is pleasant, with not such steep ascents and altitude loses; nevertheless it can be hot in windless summer days. The descending part is unfortunately not as interesting as the hike over the mountain, as it follows old forest roads till it reaches asphalt that brings you to Jablanica city through its quarters. It is possible that in the future, some old hunting trails will be re-established and the trail will descend directly to Jablanica. Jablanica city is of course the main place to re-suply, but also to visit sites such as a museum of the fabulous Neretva Battle of WW2, the fallen bridge and to taste famous lamb on spit – a great treat after a great hike! Take at least two days for this stage. It is worth it! Book your place in Vilinac mountain hut and enjoy a sunset and sunrise at the view point in the vicinity. If you book your place and food in the mountain huts, it is possible to hike this tour just with the daily pack and enough water. Also, have a look at one of the most popular Yugoslavian action movies with Yul Briner and Franco Nero. You’ll recognize some scenes when in Jablanica. From the spring follow the trail into the forest. The first crossing will be after the forest, and there you should turn left. The next one will be also left. Follow the ridge of Great Vilinac to saddle Prigon. The mountain lodge is a couple hundred meters below on the right, but the trail continues left to the other side. It is recommended to visit the lodge (Vilinac hut) and take a trail vie the view point, which will bring you back below Prigon. The next crossing is just a couple hundred meters ahead, and from there you go right. After a couple of kilometers you arrive to Jablanica. There is a big curve, as the main road turns left. At this point you just cross this road and go straight, then right at the T crossing where this smaller street brings you. Follow the road to the cemetery and look for the path in the bush and trees on the left side opposite of the cemetery. 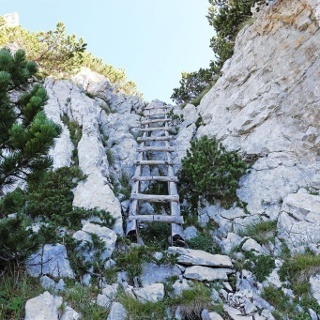 Follow the path which brings you to the stairs, descend and you are at Jablanica main road. Musem is just behind the fuel station. 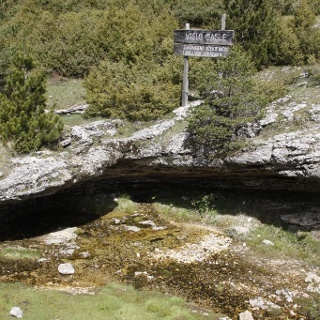 The next head of the next stage of the trail is on the other side of the river Neretva, after the tunnel. When in Blidnje Nature Park follow signs to Masna Luka or hiking signs from Hajducke Vrleti or Blidinje lake.